Our trapped emotions, anxieties, and unprocessed life experiences are everything that ails us. Emotions are records of our past – are you ready to become aware of them so you can create a new version of yourself? Feel Healthy, Energized and Vibrant. 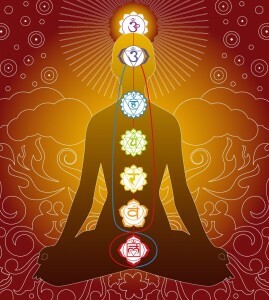 There are 7 main energy centers in the body, known as chakras. This powerful Eastern healing art teaches the connection between the 7 main Energy Centers of the human body to our Spiritual, Mental, Emotional and Physical Awareness. Each chakra is located throughout our body so that it correlates to specific body ailment and physical dysfunctions; each energy center also houses our mental and emotional strengths. When we have a physical issue, it creates weaknesses in our emotional behavior. When we release the stale energy from the body, it can undo any tightness, stiffness, or malfunction of that area. Please review each course description below to find which course is best for you on your journey! The Level I program is designed as a prerequisite for the Practitioners Certification and focuses primarily on Self Care. It is essential that you are aware of your own imbalances before working on others. This certification gives you both the tools and the knowledge to balance your own 7 main Chakras. This Chakra Balancing Certification course is taught as a two-day course over two consecutive Saturdays. A Certification of Completion will be provided upon completion of the course. Our Level II Practitioners Certification program is taught over three consecutive Saturdays that begins with the Chakra Balancing Level I Certification course for the first two weeks. In the third week you will learn the techniques for intuitive awareness as well as how to perform a full-body Chakra Balancing session. Add this to your current repertoire of holistic services or start your own business! Or simply practice on yourself and family and friends. Handouts will be provided within the class. A Chakra Balancing Practitioners Certificate will be provided upon successful completion of the course. Have you completed our Practitioners Certification and are looking now to teach Chakra Balancing to others? Complete our Chakra Balancing Teachers Certification class. Coming soon!